Old Dominion Animal Hospital is dedicated to the community and to promoting animal rescue efforts in our area. The hospital has been instrumental in developing the Companion Animal Fund, a non-profit organization that provides fund raising efforts and donations to help local animal rescue organizations. The Fund has sponsored and participated in a variety of events to help raise community awareness and collect donations. The Companion Animal Fund hosts this event in February of each year. The pub crawl is a walk through the downtown area to multiple local restaurants. At each venue, you receive a ticket for a drink at that location. Appetizers are provided as part of the ticket price. The focus of the event is a raffle for local items and a silent auction for larger items. Last year the CAF raised over $17,000 at the event and sponsors. All of the proceeds benefit local animal rescues in the area of Charlottesville and the surrounding counties. In other words, we have fun and help pets! If you have any questions about the event or would like to sponsor a Pub Prowl, please visit us at CAFVA.org. The dog wash is a very fun event held at the end of summer. All the employees at Old Dominion Animal Hospital and the Companion Animal Fund get together to raise money for CAF and area animal rescue organizations. All dogs are welcome to the dog wash, which includes a raffle held during the event for items from the Charlottesville area. Last year the money was used to buy Microchip readers and Infrared readers for the local counties Animal Patrol Officers. These readers make it possible to identify lost animals more rapidly and return them to their proper homes. As a result, we can reduce the number animals at local shelters and rescues. 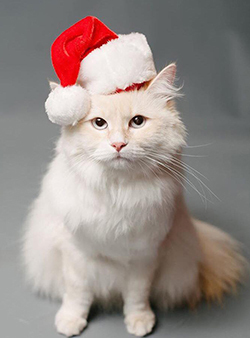 Every fall we welcome professional photographer Jonathan Joy-Gaba to take pictures of your pets in fun holiday gear. All pets are welcome including cats, dogs, or other small animals. Jonathan is an amazing photographer who spends most weekends taking photos, and videos at weddings. Certainly your holiday card photo will be a huge hit! You can visit his work @Joygabaphoto. We send out emails and set up a sign-up sheet in the Old Dominion Animal Hospital lobby. 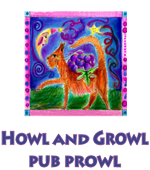 The profits raised from this event go to the Companion Animal Fund.